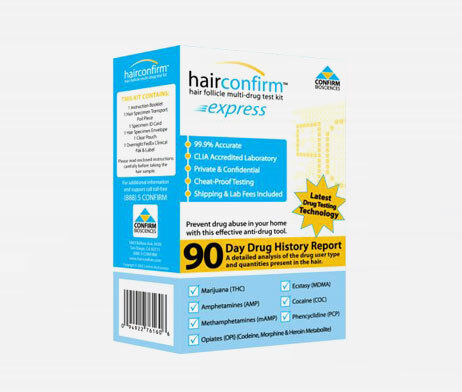 HairConfirm™ is the perfect drug testing solution for parents gives you the peace of mind that you can monitor your teen for possible drug use with one simple test every 3 months. The kit comes complete with sample collection and overnight shipping materials, to provide you with the fastest turnaround time in Hair Testing. Results are available in just 3-5 business days!